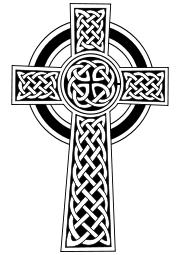 Celtic Christianity (also called Insular Christianity) refers to a distinct form of Christianity that developed in the British Isles during the fifth and sixth centuries among the Irish, Scottish, Welsh, Cornish, and Manx (Isle of Man) peoples. It is distinguished by unique indigenous traditions of liturgy, ritual, and art, which were different from other Roman Catholics during the period. The term “Celtic Christianity” may also be used to describe later Christian practice beyond the seventh century in the British Isles; however, because the history of the Breton, Cornish, Irish, Scottish, and Welsh Churches diverges significantly after the eighth century, resulting in a great difference between even rival Irish traditions, historians generally avoid using the term beyond the seventh century. Correspondingly, historians avoid using the term “Celtic Church,” since it entails a sense of a unified entity separated from the greater Latin Christendom which did not really exist. Finally, the term "Celtic Christianity" may also be used to designate the satellite monastic institutions founded by Celtic communities on the Continent, such as in Gaul (France). Scholars have long recognized that the term “Celtic Church” is simply inappropriate to describe Christianity among Celtic-speaking peoples, since this would imply a notion of a self-identifying unity that did not exist. As Patrick Wormald has explained, “One of the common misconceptions is that there was a ‘Roman Church’ to which the ‘Celtic’ was nationally opposed.” Celtic-speaking areas were part of Latin Christendom as a whole, wherein a significant degree of liturgical and structural variation existed, along with a collective veneration of the Bishop of Rome that was no less intense in Celtic areas. Nonetheless, it is possible to talk about certain traditions present in Celtic-speaking lands, and the development and spread of these traditions, especially in the sixth and seventh centuries. Some scholars have chosen to apply the term "Insular Christianity" to this Christian practice, which arose around the Irish Sea, a cultural nexus in the sub-Roman period that has been called the "Celtic Mediterranean." The term “Celtic Christianity” may also be employed simply in the sense of different Catholic practices, institutions, and saints amongst the Celtic peoples, in which case, it could be used meaningfully well beyond the seventh century. As the most remote province of the Roman Empire, Britain was reached by Christianity in the first few centuries of the Christian Era, with the first recorded martyr in Britain being Saint Alban during the reign of Roman emperor Diocletian (284–305 C.E.). The process of Christianization intensified following the legalization of the religion under Constantine in the fourth century, and its promotion by subsequent Christian emperors. In 407 C.E., the Empire withdrew its legions from the province to defend Italy from Visigothic attack. The city of Rome would be sacked in 410 C.E., and the legions never permanently returned to Britain. Thus, Roman governmental influence ended on the isle, and, with the following decline of Roman imperial political influence, Britain and the surrounding isles developed distinctively from the rest of the West. The Irish Sea acted as a center from which a new culture developed among the Celtic peoples, and Christianity acted centrally in this process. What emerged, religiously, was a form of Insular Christianity, with certain distinct traditions and practices. The religion spread to Ireland at this time, though the island had never been part of the Roman Empire, establishing a unique organization around monasteries, rather than episcopal dioceses. Important figures in the process were Saints Ninian, Palladius, and Patrick (the "Apostle to the Irish"). Meanwhile, this development was paralleled by the advent of the Anglo-Saxon (English) migration/invasion into western Britain from Frisia and other Germanic areas, resulting in cultural hostility in Britain between the British and the (then pagan) English. In the sixth and seventh centuries, Irish monks established monastic institutions in parts of modern day Scotland (especially Saint Columba, also known as Colum Cille), and on the continent, particularly in Gaul (especially St. Columbanus). Monks from Iona, under Saint Aidan, then founded the See of Lindisfarne in Anglo-Saxon Northumbria in 635 C.E., when Celtic practice heavily influenced northern England. These renewed links with the greater Latin West brought the Celtic-speaking peoples into close contact with other subgroups of Roman Catholicism. Thus, the issue of certain customs and traditions particular to Insular Christianity became, to an extent, a matter of dispute; especially the matter of the proper calculation of Easter and method of tonsure. Synods were held in Ireland, Gaul, and England (for example, the Synod of Whitby), where the Easter question was resolved, resulting in the adoption of one method for calculating Easter. A degree of variation continued, and to an extent was encouraged, evidenced by the issuance of a papal privilege by Pope Honorius to the Columbanus’s monastery of Bobbio freeing the institution for Frankish episcopal oversight. Furthermore, the cultural exchange was mutual, evidenced by the spread of a uniquely Irish penitential system, eventually adopted as a universal practice of the Church by the Fourth Lateran Council of 1215. Other important Celtic saints, or saints who influenced the development of Christianity amongst the Celtic-speaking peoples, include Saints Dubricius, Illtud, David, Cadoc, Deiniol, Samson, Paul Aurelian, Petroc, Piran, Ia, Brigit, Moluag, and Germanus of Auxerre. The Celtic Cross in Knock, Ireland. By the seventh century, the established ecclesiastical structure for the Roman Catholic Church on the Continent consisted of one bishop for each diocese. The bishop would reside in a “see,” or a city able to support a cathedral. This structure was in part based on the secular administrative organization of the Roman Empire, which had subdivided provinces into “dioceses” (or a Roman province). It was after Christianity had spread throughout the Empire, and especially after the advent of the Christian Emperor Constantine I, that dioceses had acquired an administrative function within the Church. Most of the Celtic world, however, had never been part of the Roman Empire, and even the notable exceptions of Wales, Devon, and Cornwall were nonetheless without developed cities. Hence, a much different ecclesiastical structure was needed for Insular Christianity, especially in Ireland. What emerged was a structure based around monastic networks ruled by abbots. These abbots were of royal kin. The nobility who ruled over different tribes, and whose sources of power were rural estates, integrated the monastic institutions they established into their royal houses and domains. Abbots were monastic, and, thus, were not necessarily ordained (that is, they were not necessarily priests or bishops), and so bishops were still needed, since certain sacramental functions were reserved only for the ordained; however, unlike on the Continent, these bishops had little authority within Celtic ecclesiastical structure. A distinguishing mark of Celtic Christianity was its distinct conservatism, even archaism. One example is their method of calculating Easter. Calculating the proper date of Easter was (and is) a complicated process involving a luni-solar calendar. Various tables were produced in antiquity that attempted to calculate Easter for a series of years. Insular Christianity used a calculation table (Celtic-84) that was similar to one approved by Saint Jerome. However, by the sixth and seventh centuries it had become obsolete and had been replaced by those of Victorius of Aquitaine and, more accurately, those of Dionysius Exiguus. As the Celtic world established renewed contact with the European Continent, it became aware of the divergence; most groups, like the southern Irish, accepted the updated tables with relatively little difficulty, with the notable exception of monks from the monastery of Iona and its many satellite institutions. For example, the southern Irish accepted the common Easter calculation at the Synod of Mag Léne around 630, as did the northern Irish at the Council of Birr around 697, and Northumbria with the Synod of Whitby in 664. It was not until 716 that the monks of Iona converted their practice. The "Roman" tonsure, in the shape of a crown, differing from the Irish tradition, where the hair above the forehead was shaved. 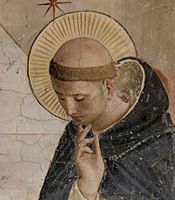 Irish monks kept a distinct tonsure, or method of cutting one’s hair, to distinguish their social identity as monks (rather than warriors or peasants, who wore different styles of hair). The "Celtic" tonsure involved cutting away the hair above one’s forehead. This differed from the prevailing custom, which was to shave the top of the head, leaving a halo of hair (in imitation of Christ’s crown of thorns). In Ireland, a distinctive form of penance developed, where confession was made privately to a priest, under the seal of secrecy, and where penance was given privately and ordinarily performed privately as well. Certain handbooks were made, called “penitentials,” designed as a guide for confessors and as a means of regularizing the penance given for each particular sin. The Irish penitential practice spread throughout the continent, where the form of public penance had fallen into disuse. St. Columbanus was credited with introducing the medicamenta paentitentiae, the “medicines of penance,” to Gaul at a time when they had come to be neglected. Though the process met some resistance, by 1215, the practice had become established, with the Fourth Lateran Council establishing a canonical statute requiring confession at a minimum of once per year. The achievements of Christianity in the Celtic-speaking world are significant. Irish society had no history of literacy until the advent of Christianity, yet within a few generations of the arrival of the first missionaries, the monastic and clerical class of the isle had become fully integrated with the culture of Latin letters. Besides just Latin, Irish ecclesiastics developed a written language for Old Irish. Likewise, they adapted the Christian episcopal structure to an environment that was wholly different from the prevailing sub-Roman world. Irish monks also established monastic networks throughout Gaul and Northumbria, exerting a profound influence greater than many Continental centers that could boast much more ancient traditions. One example is the spread of the cult of Peter within Gaul, which was largely the product of Irish influence, and the similar veneration for the papacy. Hence, the first issuance of a papal privilege granting a monastery freedom from episcopal oversight was that of Pope Honorius I to one of Columbanus's institutions. Perhaps the best example of the Irish influence, however, was the spread of their penitential practice. The notion of a “Celtic Church,” and its nature, has been a continual source of myth, beginning with the Protestant Reformation, where authors such as George Buchanan supplied “the initial propaganda for the makers of the Scottish Kirk” by inventing the notion of a national “Celtic” Church opposed to a “Roman” one. In recent works published by the leading authorities on early Christian “Celtic” culture, such a notion is completely rejected. Nonetheless, as Patrick Wormald stated, “The idea that there was a ‘Celtic Church’ in something of a post-Reformation sense is still maddeningly ineradicable from the minds of students.” Wormald also observed that, “It is difficult to resist the impression that what Protestant Confessionalism did for the idea of a ‘Celtic’ church until the 1960s is now being done by ‘new age’ paganism,” based on notions of some sort of "Celtic spirituality" supposedly distinguished by a unique "closeness to nature." ↑ Patrick Wormald, "Bede and the ‘Church of the English,'" in The Times of Bede, ed. Stephen Baxter (Oxford: Blackwell Publishing, 2006), pp. 223-224. ↑ Kathleen Hughes, "The Celtic Church: Is This a Valid Concept?" in O'Donnell lectures in Celtic Studies (University of Oxford, 1975). ↑ Dáibhí Ó Cróinín, Early Medieval Ireland 400-1200 (London, 1995). ↑ Patrick Wormald, "Bede and the ‘Church of the English,'" in The Times of Bede, ed. Stephen Baxter (Oxford: Blackwell Publishing, 2006), p. 207. ↑ Richard Sharpe, "Some problems concerning the organization of the Church in early medieval Ireland," Peritia 3 (1984), p. 230-270. ↑ Peter Brown, The Rise of Western Christendom (Oxford, Blackwell Publishing, 2003), p. 16, 5,1 129, 132. ↑ Caitlin Corning, The Celtic and Roman Traditions: Conflict and Consensus in the Early Medieval Church (Palgrave Macmillan, 2006). ↑ Craig L. Nessan, "Justification in Its Reformation Context: Beyond Confessional Fundamentalism," Word & World 12/3 (1992), p. 281. ↑ Charles Plummer, "Excursus on the Paschal Controversy and Tonsure," in Venerablilis Baedae, Historiam Ecclesiasticam Gentis Anglorum (Oxford: University Press, 1975), p. 348-354. ↑ Eric John, "The Social and Political Problems of the Early English Church," in Anglo-Saxon History: Basic Readings, ed. David A.E. Pelteret (New York: Garland Publishing, 2000), p. 32-34. ↑ Patrick Wormald, "Bede and the Church of the English," in The Times of Bede, ed. Stephen Baxter (Oxford, Blackwell Publishing, 2006), p. 224 n. 1. ↑ Eric John, The Social and Political Problems of the Early English Church, in Anglo-Saxon History: Basic Readings, ed. David A. E. Pelteret (New York: Garland Publishing, 2000), p. 34. ↑ John T. McNeil and Helena M. Gamar, Medieval Handbooks of Penance (New York: Columbia University Press, 1938), p. 28. ↑ Peter Brown, The Rise of Western Christendom (Oxford: Blackwell Publishing, 2003), p. 252. ↑ Eric John, "The Social and Political Problems of the Early English Church," in Anglo-Saxon History: Basic Readings, ed. David A. E. Pelteret (New York: Garland Publishing, 2000), p. 36. ↑ Patrick Wormald, "Bede and the ‘Church of the English,’" in The Times of Bede, p. 207. ↑ Dáibhí Ó. Cróinín, Early Medieval Ireland: 400-1200 (London: 1995). ↑ Patrick Wormald, "Bede and the ‘Church of the English,'" in The Times of Bede, p. 223-4. Bede. Historiam Ecclesiasticam Gentis Angelorum. Oxford, 1896. Cummian. De controversia paschali and De ratione conputandi. Toronto: Pontifical Institute of Medieval Studies, 1988. Giles, J.A., ed. Historia Brittonum. London: Six Old English Chronicles, London, 1848. Hughes, Kathleen. "The Celtic Church: Is This a Valid Concept?" In O'Donnell lectures in Celtic Studies. University of Oxford 1975. Hughes, Kathleen. The Church in Early English Society. London, 1966. Patrick (Saint). Confessio. Edited and translated by John Skinner. Image, 1998. Sharpe, Richard Sharpe. "Some problems concerning the organization of the Church in early medieval Ireland," Peritia 3 (1984). This page was last modified on 18 April 2008, at 16:30.